Monster spoke to a legal career expert, and she didn’t mention “lawyer.” Not once. It’s tough to land a gig as a lawyer. Just look to the average law school graduate from the class of 2015 for evidence. While 86.7% found some type of employment, according to a report by the National Association for Law Placement, only 51.3% overall landed jobs in private practices—a number fewer than any class in the last two decades. Don’t get us wrong, there are still plenty of jobs available in law, we just want to let you know that you’ve got options. You learned valuable skills—like persuasion, public speaking, writing and negotiation—that can be transferred to some of the nation’s fastest growing industries. That’s why Monster spoke with Lawternatives blogger Cheryl Heisler, an alternative law career expert, to explore all of the options your law degree provides—and why it’s perfectly OK not to work in a traditional law setting. Depending on who you are and what you want, Heisler says those alternatives can be equally valuable, the return can be equal and the enjoyment factor can be equal or better. 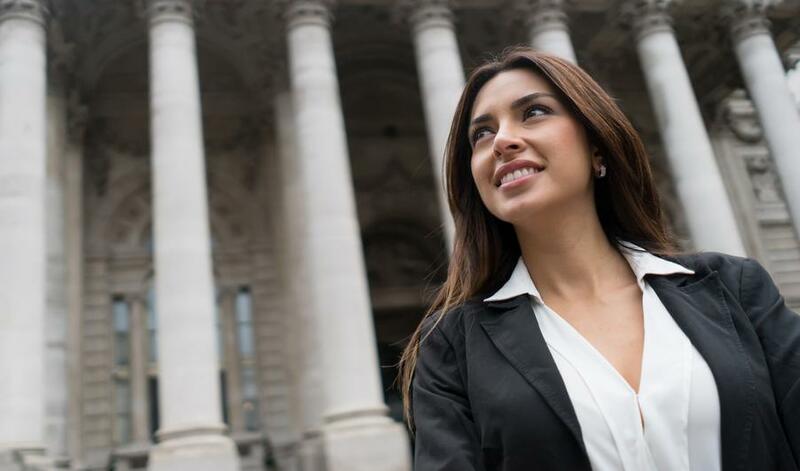 So whether you’re a recent law grad or a seasoned professional looking for a change of pace, read on to learn about how one of these five growing fields could be a good (or better) match for your skill set. As a consultant, it’s your job to become an expert on the client you’re dealing with, so you can spot issues and find solutions to problems. Heisler sees a strong correlation between this and practicing law. Find all consulting jobs on Monster. Lawyers are taught to read and understand the language of contracts and regulations, and find ways to benefit their client—which is exactly what finance workers get paid to do. Lawyers also learn to be wordsmiths. That’s especially important in contract writing, where one or two words can make a big difference. And this kind of attention to detail will resonate with your law school background because you know how much one little slip can cost you. Find all finance jobs on Monster. After spending all that time in law school, it’s safe to assume you enjoy learning and are passionate about transferring that information on. Heisler sees your role as a lawyer similar to that of an educator. “It makes total sense to me that somebody who enjoyed, or thought they would enjoy, educating a jury, or educating a client, would enjoy educating students,” Heisler says. Find all education jobs on Monster. When you’re a good marketer, you’re a great listener. How else will you know what the client is really looking for? And as you learned in law school, you know to listen first, so you can use what the opposition says to your advantage. But this field also gives you more of a chance to show your creative side. Find all marketing jobs on Monster. It’s not uncommon for lawyers to work in some kind of communications role, either in the public or private sector, Heisler says. As a lawyer, you were taught to be quick on your feet and understand problems inside and out. And you already understand what it means to be in compliance, be zealous and be an advocate—and you have the ability to effectively communicate across platforms. Find all communications jobs on Monster.